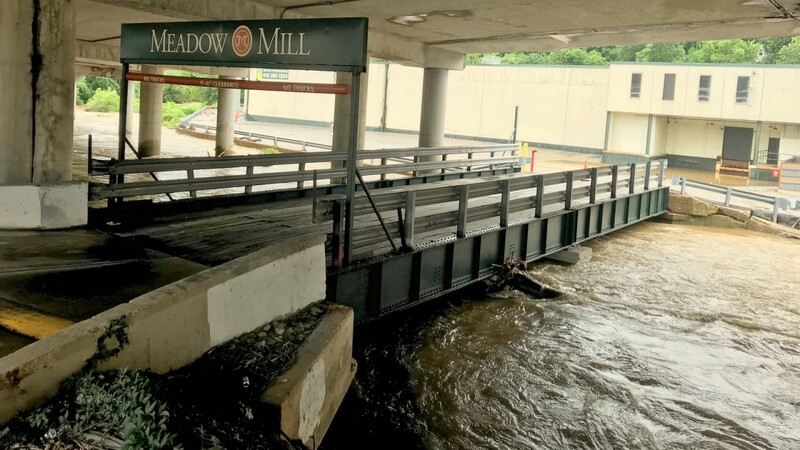 Heavy rain today turned the Jones Falls into a raging torrent, prompting fire officials to evacuate two large business complexes in North Baltimore. As chocolate-colored water lapped at the Smith Avenue bridge at Mt. 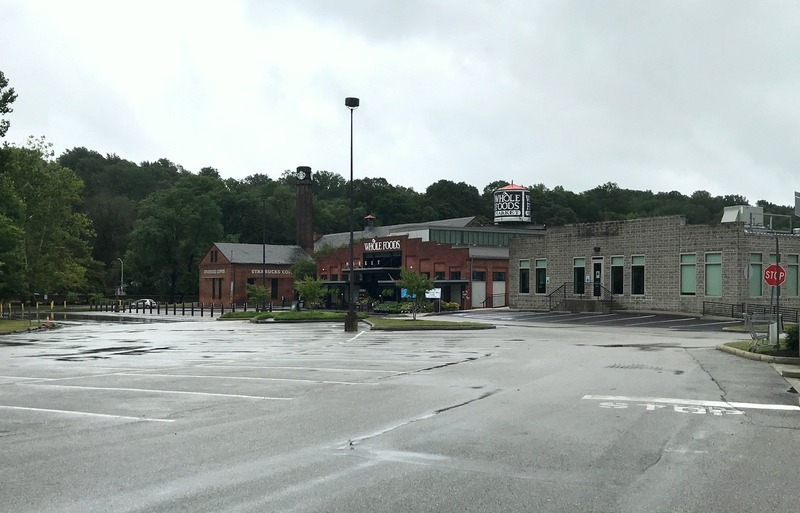 Washington Mill, firefighters and emergency management officials ordered the evacuation of the Whole Foods Market, Starbucks, Meadowbrook Swim Club and other businesses. By 11 a.m., the Smith Avenue bridge, the only vehicular link to the complex, was closed to traffic. An employee at the Mt. Washington Post Office, located on nearby Cottonworth Avenue, said it was still technically open for business. “But I don’t know how the trucks are going to get back,” she said. It was the same story downstream, where the rising Jones Falls threatened to surge over the bridge leading to the Meadow Mill buildings. “Never a dull moment,” tweeted the ACLU of Maryland, one of the businesses located there. “Our work will continue (but not at the Baltimore office). Stay safe and dry everyone,” the group announced, retweeting a video of the high water slopping over the top of the bridge. 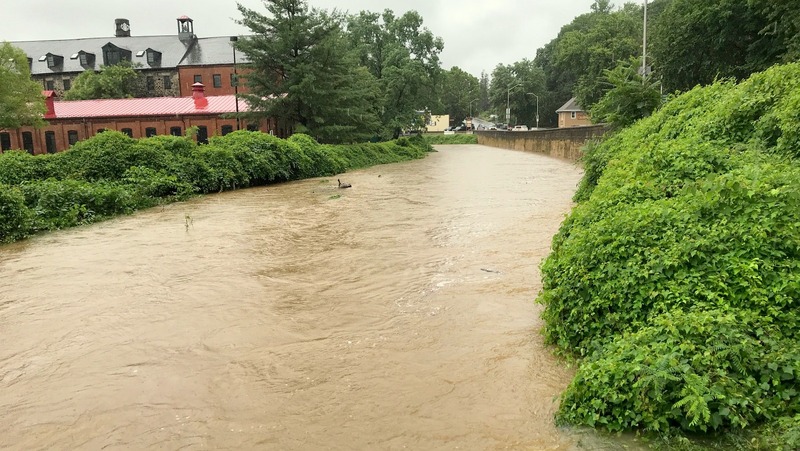 Further downstream, water rushed within feet of the rear parking lot of historic Whitehall Mill, a re-purposed residential complex. 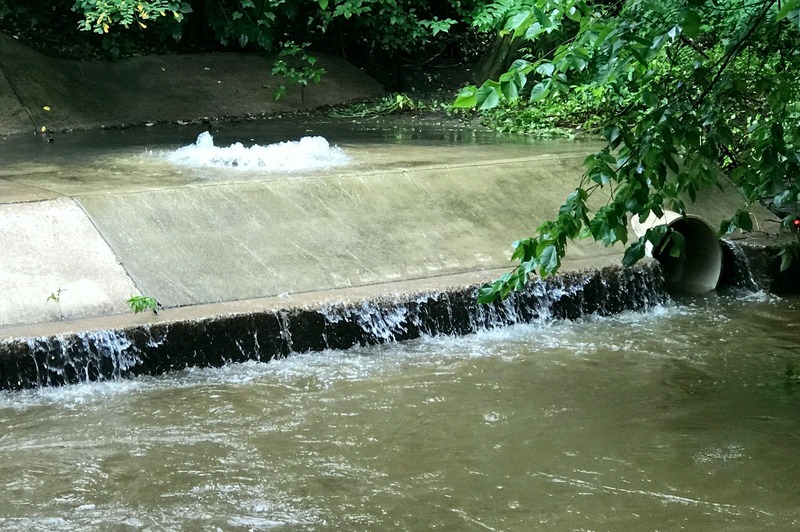 And on lower Falls Road, near the Baltimore Streetcar Museum, geysers of sewage water surged from a half dozen manhole covers, turning a portion of the roadway into a smelly, shallow canal. 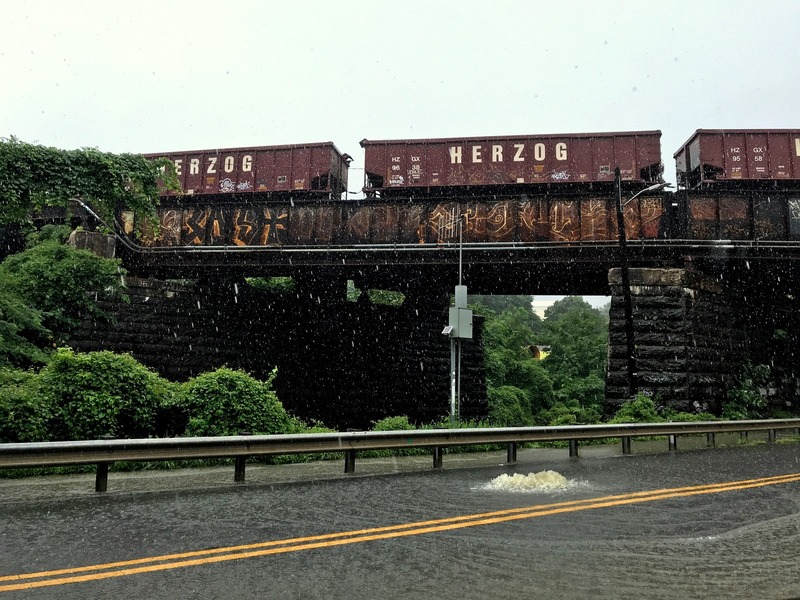 Today was the latest in a string of rainy days that made July at first a noticeably parched – and then a remarkably soaked – month. 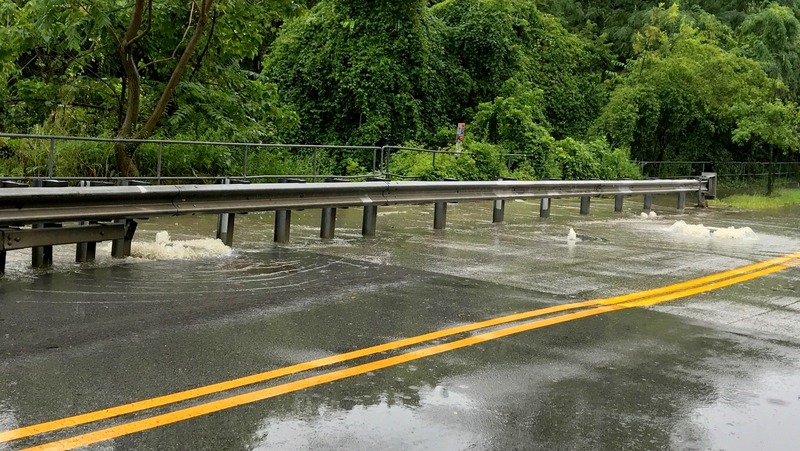 According to the National Weather Service, Baltimore picked up another 2.29 inches of rain today, pushing up the total rainfall since last Saturday to over 13 inches. The previous record of 11.03 inches for July dates back to 1889.